KariAnne Frazer: serving through Trans World Radio. KariAnne first learned about Trans World Radio when a representative from the Visual Media Department came to my college, The Master’s University in Southern California, during the school's mission's week—fall of her freshman year. She applied for an internship then, but the Lord fulfilled that desire later in the summer of 2016 between her junior and senior years. 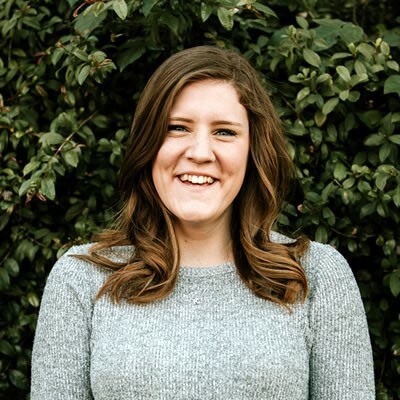 In the first two hours of her eight-week internship, the Lord pressed visual media missions deep into her heart and from then on, she knew she wanted to be with TWR full-time as soon as possible. God gave her the same vision and mission of TWR, and showed her how she could merge her passion for video production and desire to bring the gospel to the unreached through one focused ministry. "Missions exists because worship doesn’t. Worship is ultimate, not missions, because God is ultimate, not man. When this age is over, and the countless millions of the redeemed fall on their faces before the throne of God, missions will be no more." There are millions of people in our world today that will live and die without ever hearing the name of Jesus, and KariAnne desires to be part of that mission while the time is still to come. Now, as a graduate from TMU (May 2017), KariAnne is humbled to be sent out from Grace Community Church as a full-time Assistant Video Producer with TWR MOTION. Praise the Lord for all He has done, is doing, and will do in allowing KariAnne to work to bring the gospel to the nations for the ultimate glory of our gracious God. You can support this ministry by visiting my web page at Trans World Radio.